Here's an interesting turn of events in the ongoing flood of legal battles. 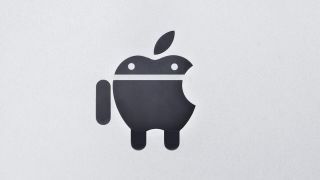 Both Apple and Google's Motorola Mobility have been accused by a US Judge of using their continued dispute as "a business strategy". Miami District Judge Robert Scola reckons that neither of the pair are interested in ending the patent fight they're embroiled in, instead using the conflict to attract media attention. "The parties have no interest in efficiently and expeditiously resolving this dispute," said the District Judge. "They instead are using this and similar litigation worldwide as a business strategy that appears to have no end." Of course, this may seem like speculation on the Judge's part, but it certainly makes an interesting point. There doesn't seem to be a day that passes that Apple isn't quarrelling with either Samsung or Google over a new alleged patent infringement of some type. The statement came as Apple and Google fought out over a patent involving wireless technology in a Florida court, which kicked off back in 2010. Both companies were given four months to streamline the scope of the case. The Judge said that if they failed to do so, he would put the case on hold until all the patent terms are clearly defined. We reckon that could take a while. He referred to actions of the companies as "obstreperous and cantankerous conduct," telling them that it was not a proper use of court time. Stick it to 'em!